Based out of Tolleson, Arizona with over 119 locations, Fry’s Food Stores has been serving their customers for over 60 years. The azpro team has worked with Fry’s for 8 years, contributing to the development, implementation and strategy of regular POS (point-of-sale) signage so when approached to assist on their annual refresh of POS signage, azpro was up for the challenge. 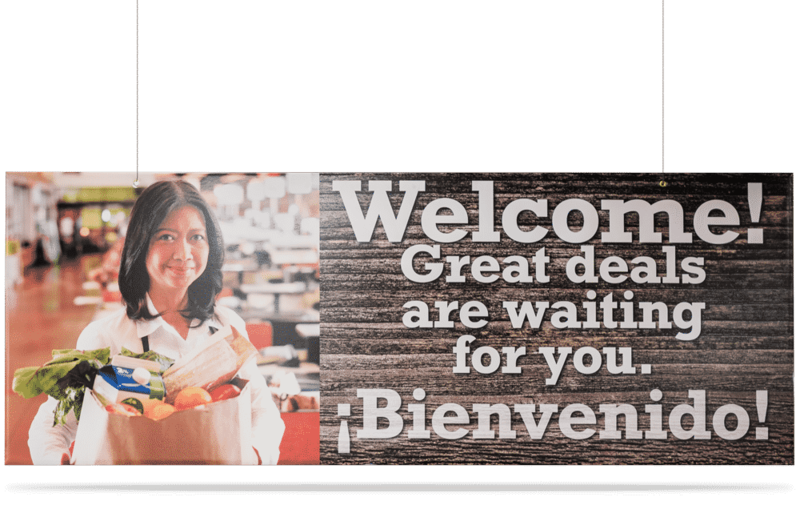 Fry’s asked azpro to coordinate, print and install approximately 60,000 pieces of POS signage in a tight deadline of 2 weeks for 119 Fry’s Food Stores located in Northern Arizona, Yuma, Tucson and the greater Phoenix area. Due to a contractual obligation from the onset, this project was a collaborative effort with another Fry’s specified print vendor located outside of Arizona. As the project advanced, azpro found there were some inconsistencies due to the location of the other print vendor that necessitated certain POP elements be reprinted and reinstalled. Given azpro’s quick turn and flexibility, it was requested that azpro promptly step in and address their concerns. Having the ability to fully manage the project in its entirety, from collecting the artwork, printing the POS Signage, kitting and installation; azpro provided Fry’s peace of mind that this large scale project could be done on time despite the issues.